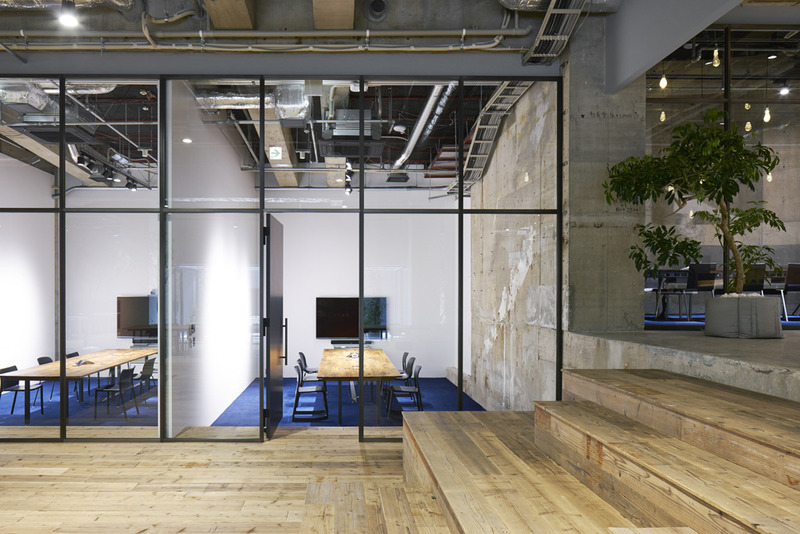 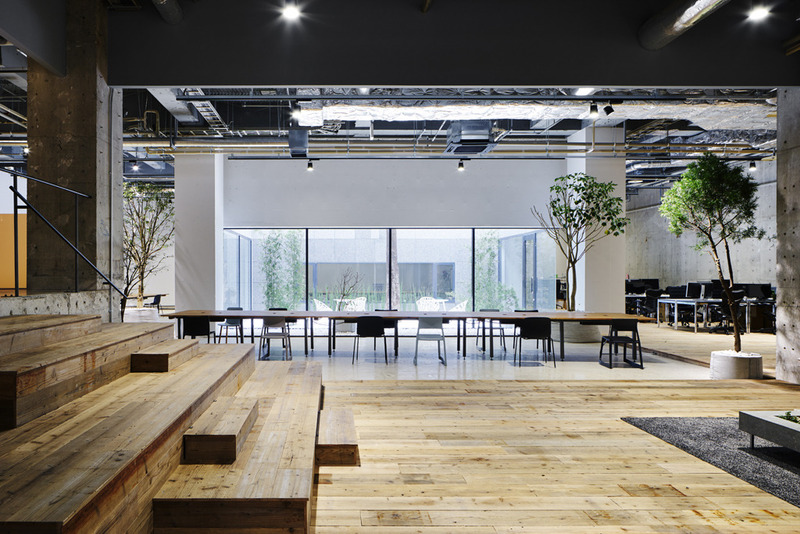 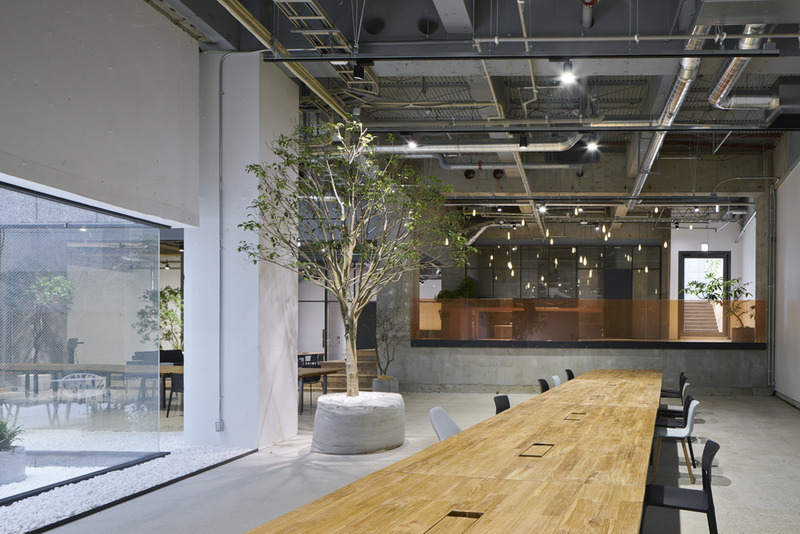 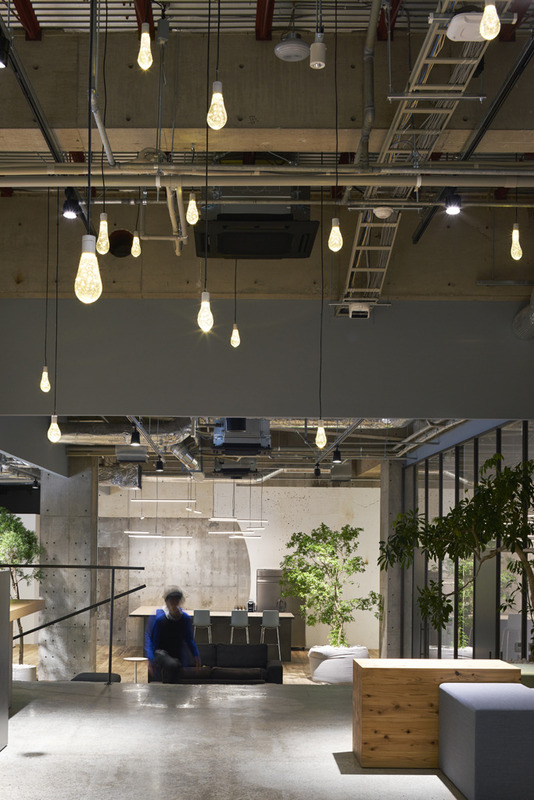 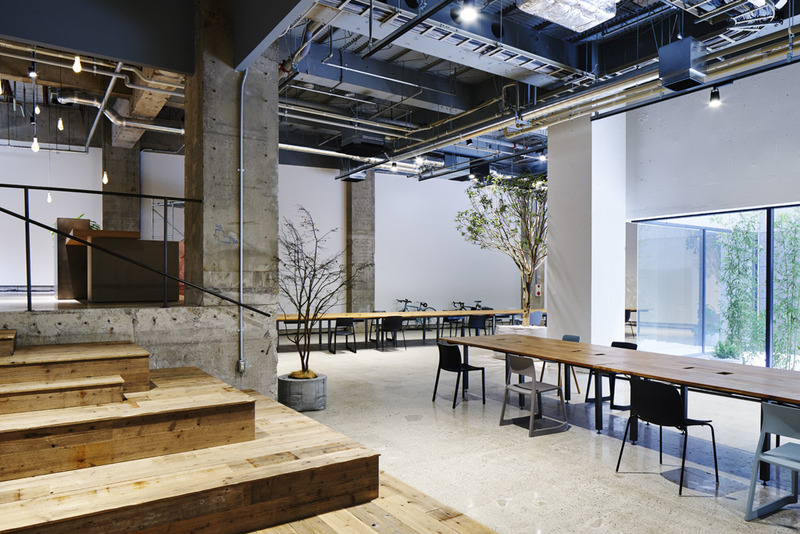 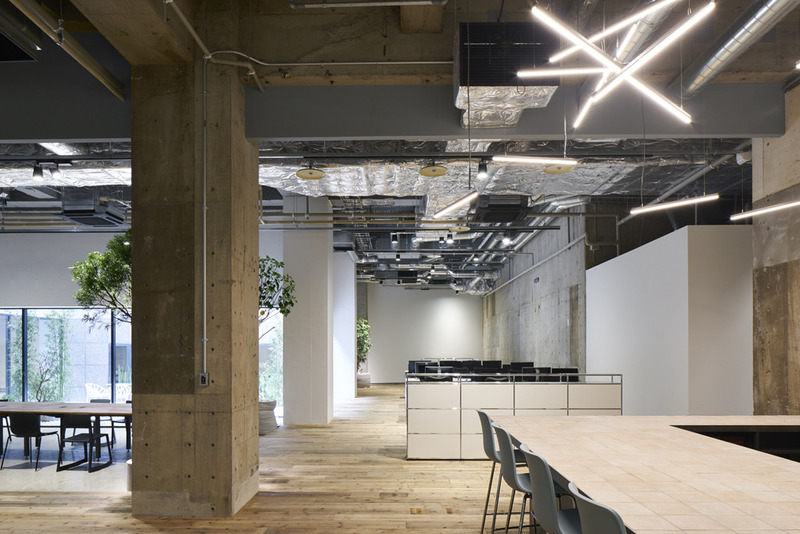 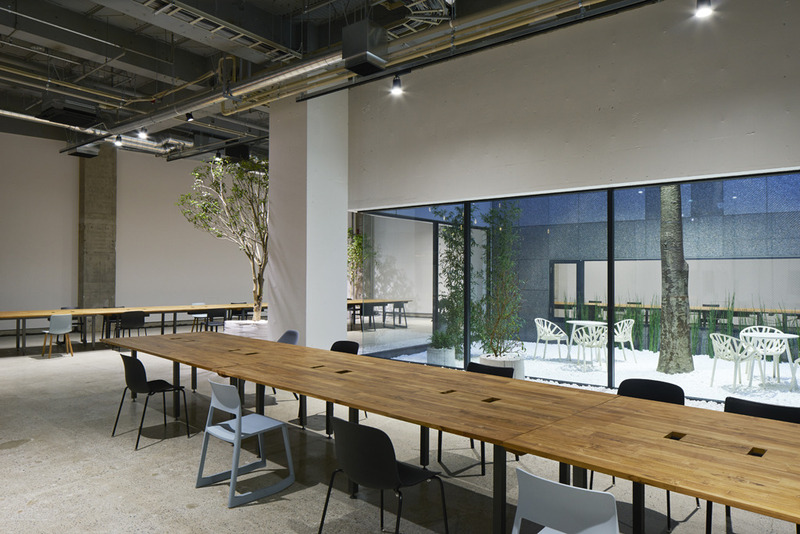 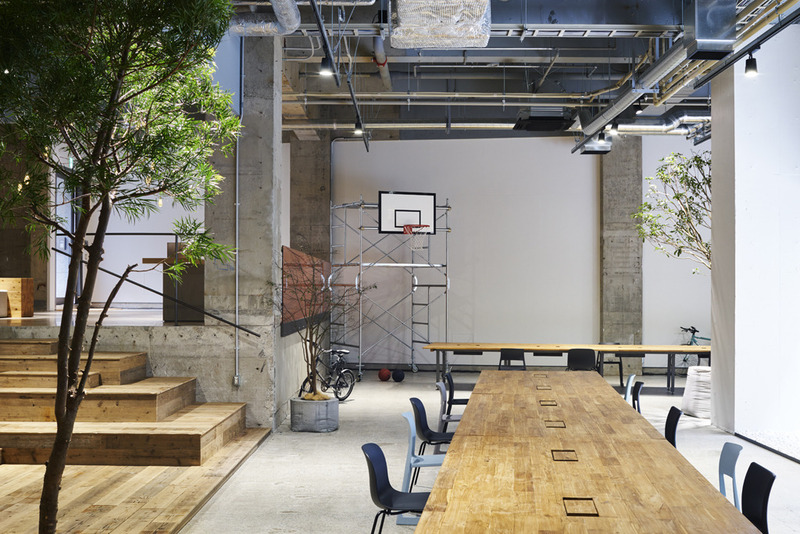 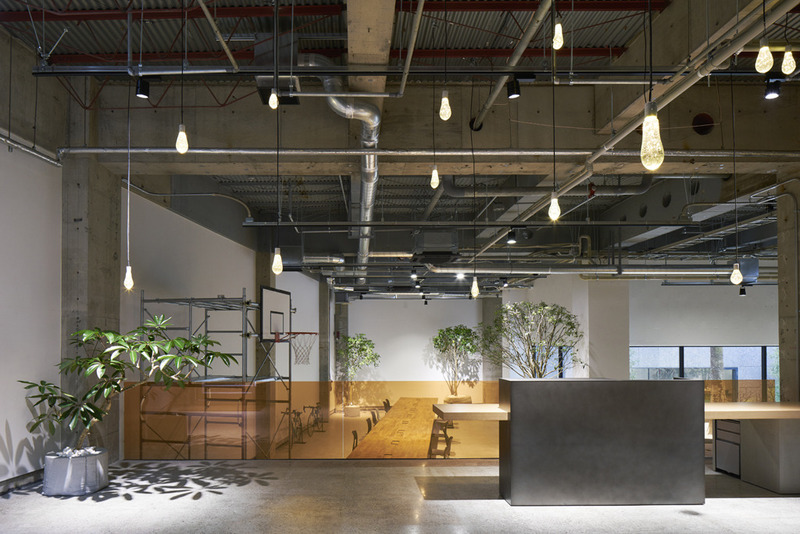 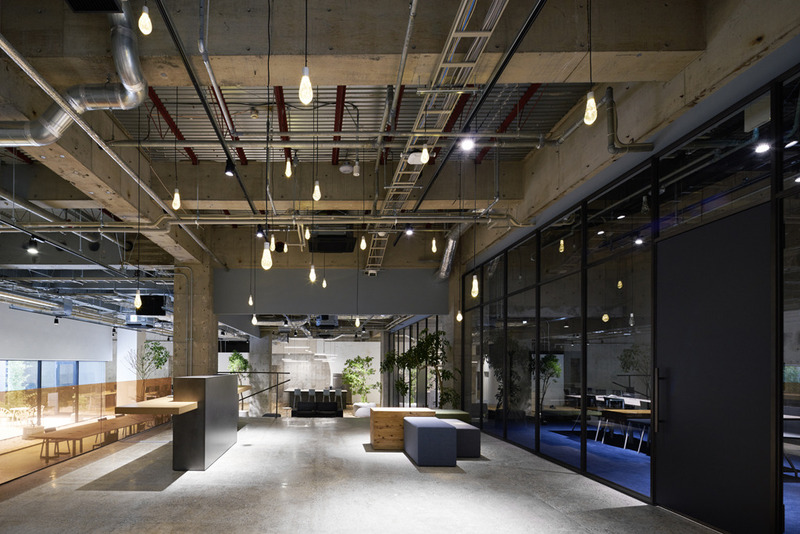 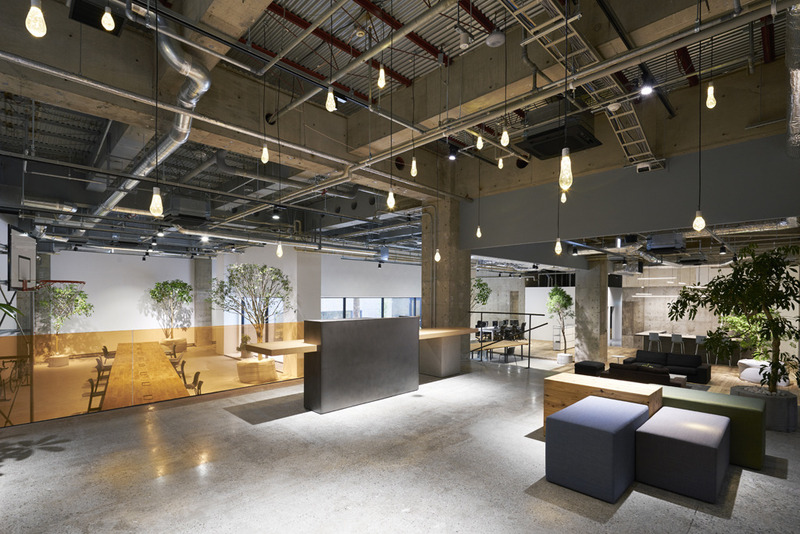 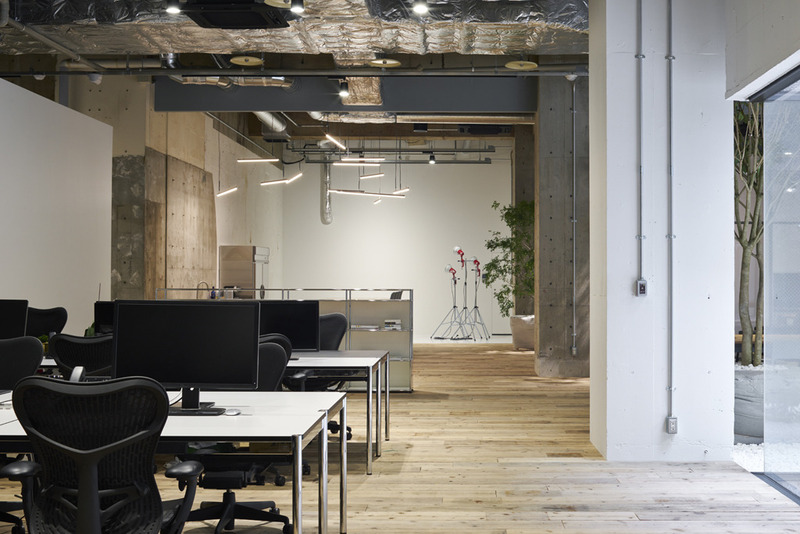 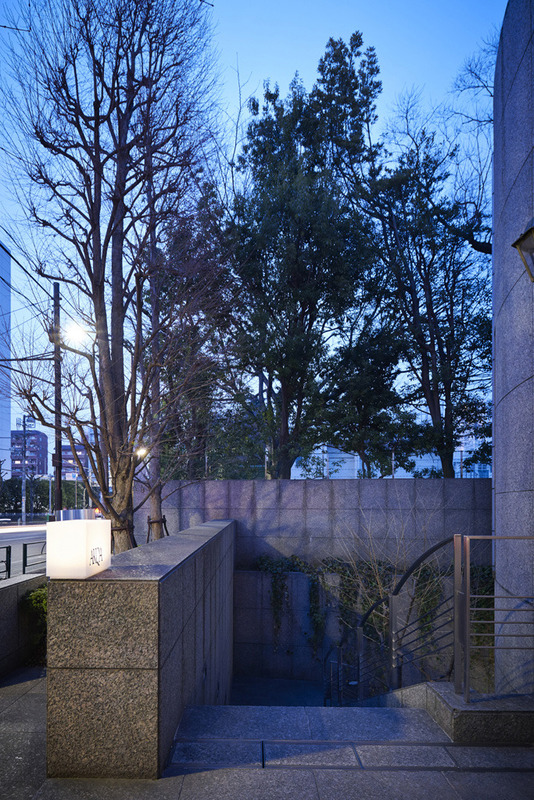 Japanese studio Torafu Architects has recently remodeled the basement level space of Tokyo global advertising agency AKQA. 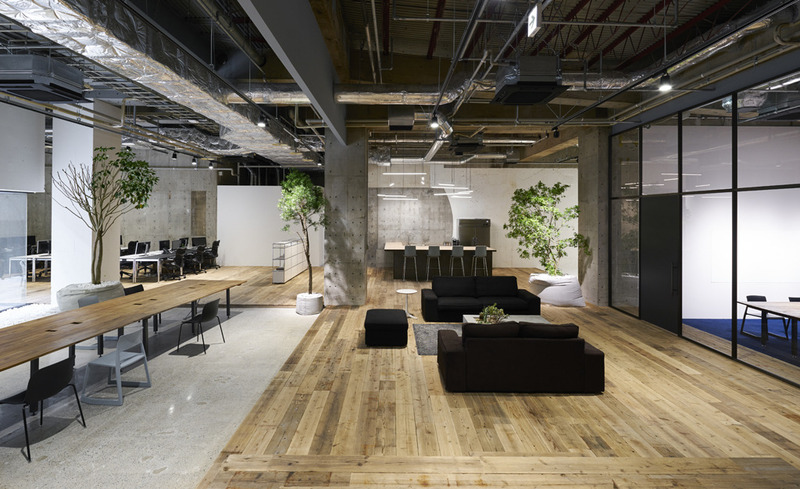 While the office is on the first floor basement of the building, the open space and brightness does not make one feel underground. 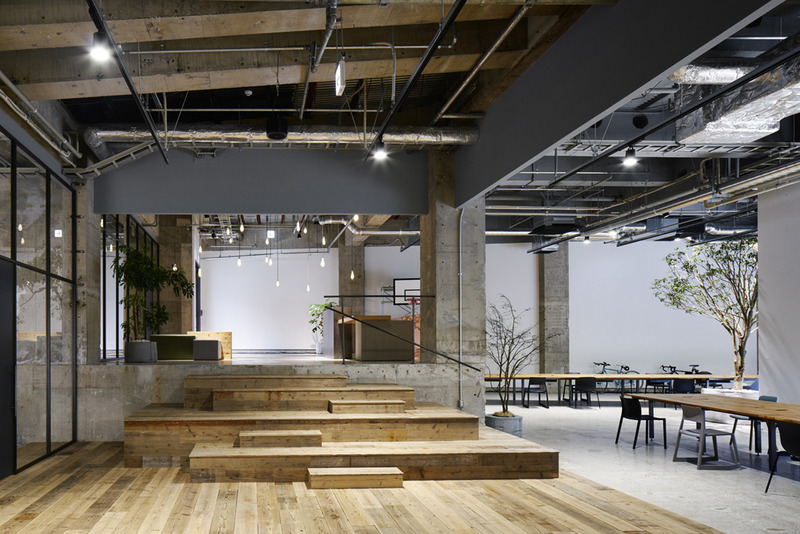 The concrete scraped the floor finish, white gravel for diffusing light that plugs into the courtyard, stage-like office area and grand staircase by flooring construction and scaffolding materials all help create an impressive creative atmosphere.